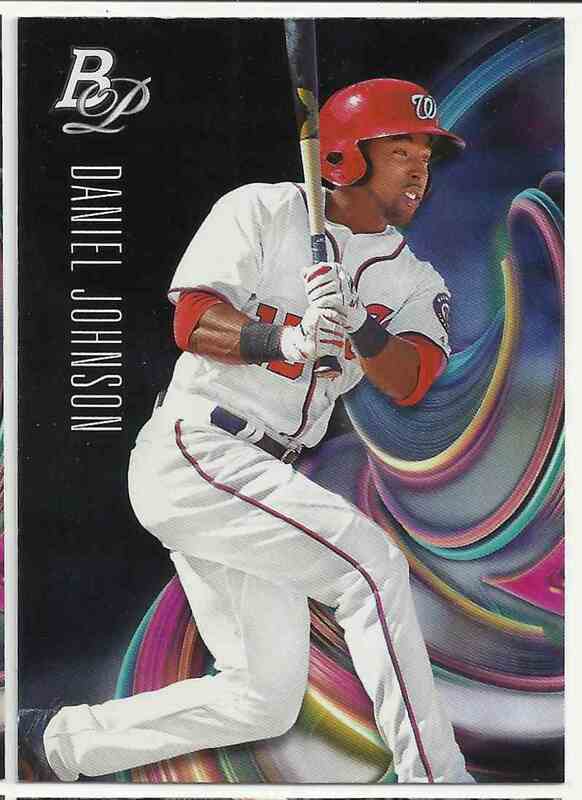 This is a Baseball trading card of Daniel Johnson, Washington Nationals. 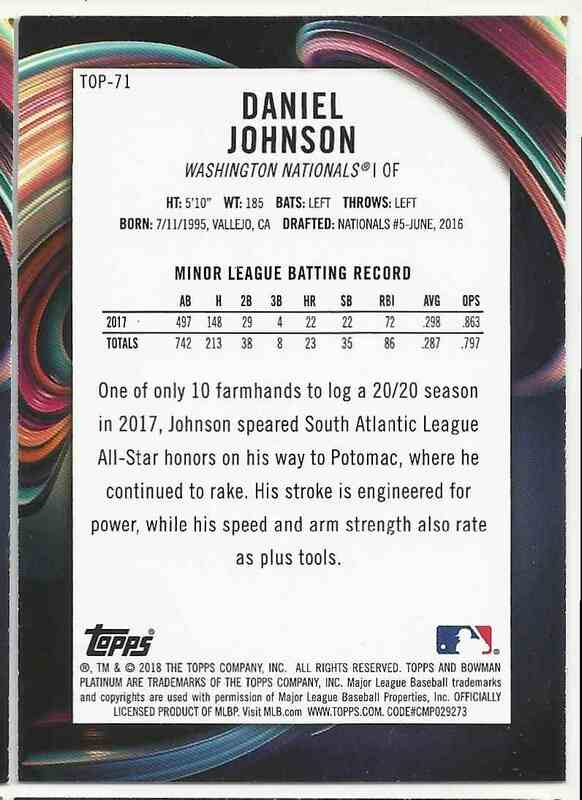 It comes from the 2018 Bowman Platinum Top Prospects set, card number TOP-71. It is for sale at a price of $ .60. All cards are in mint condition unless stated otherwise. If you are looking for anything else that you do not see listed, please don't hesitate to ask as I have quite an inventory of cards. If you are interested in purchasing a complete set, please send me a message about shipping costs. All items are sent within 24hrs of when payment is made. Combined shipping is free for multiple items. I am consistently adding cards every day so be sure to check back on a regular basis. Thank you for your patience.